Crawlspace Encapsulation is becoming increasingly popular these days. It provides an effective solution for controlling indoor moisture in the home’s crawlspace. 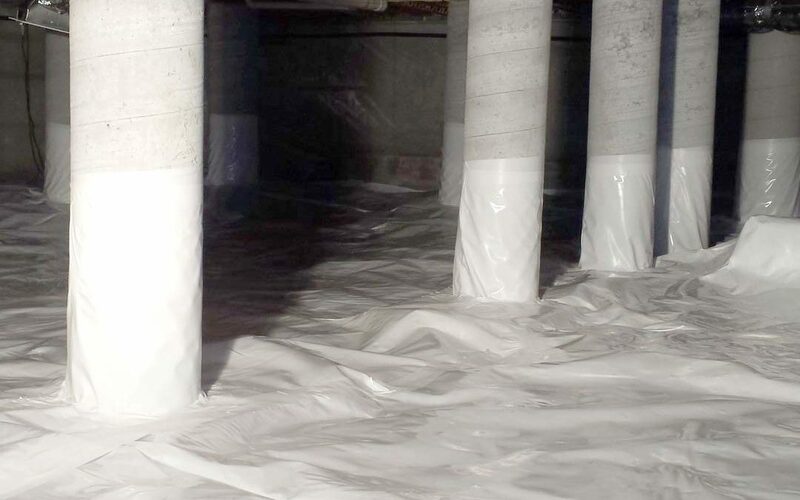 In crawlspace encapsulation, a heavy-duty polyethylene barrier is added to completely cover the crawlspace. Generally, the process involves completely sealing your crawlspace by sealing the foundation vents, covering the floor and foundation walls. While crawlspace encapsulation offers many benefits, it is not a project for amateurs or do-it-yourselfers. The professional and knowledgeable professionals at American Crawlspace Solutions are the leading Atlanta, Georgia crawlspace repair contractors. Crawlspace encapsulation helps to control humidity. Controlling humidity has many benefits. It helps to prevent damage to your home’s foundation, walls and ventilation systems. Allergens like mold and dust mites thrive in a humid environment. By preventing excessive moisture, crawlspace encapsulation controls molds and dust mites. This is great news for people suffering from asthma and other respiratory problems who find it difficult to cope with mold. Crawlspace encapsulation also prevents damages to the hardwood flooring due to regulating excessive moisture. A moist and humid crawlspace is the perfect breeding ground for mold and pests. While most of us don’t realize it, pests and molds can cause serious damage to a home. Most people are familiar with the unpleasant musty odor caused by mold, few know that excess moisture and pests can cause the wood elements of your foundation rot. Once these damages set in, it is difficult to reverse them. Wood rot, in turn, can lead to infestation by the termites and addressing it can lead to major expenses. Crawlspace encapsulation keeps the basement dry and thus prevents molds and pests to grow. Heating systems and air conditioners do not work efficiently when they are exposed to persistent humid conditions. They will start consuming more energy to do their work properly. This causes your electricity bills to increase. With crawlspace encapsulation from American Crawlspace Solutions, excessive humidity is removed while your home enjoys better energy efficiency from you air and heating systems. This provides you significant savings in your electricity bills.